How Much Does a Yard of Dirt Weigh? If you’re looking into purchasing fill dirt, there are a few basic things you need to know. 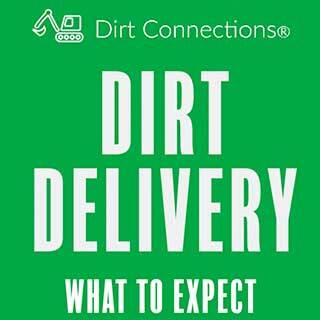 You should know how fill dirt is measured, how much fill dirt you’re going to need, and how many trucks your delivery will require. Being well informed will help the process run much smoother and make your project the best that it can be. Your local fill dirt contractor will have more information than what is listed below, so it’s a good idea to reach out to them if you have further questions. What is Fill Dirt Used For? Fill dirt can be used for construction, remodeling and landscaping projects. It’s typically used to fill a space to create a solid foundation, but it can also be used to alter landscapes to give them a unique appearance, like with a pool or waterfall. When purchasing dirt it is very important to be cautious of the difference between topsoil and fill dirt. Topsoil is the very top layer of dirt that is rich in nutrients. Topsoil contains organic matter and microorganisms which makes it great for things like gardening. However, it can be a costly mistake if it’s used for construction instead of fill dirt. The organic matter within topsoil will begin to decompose over time, this changes the volume of the dirt and can cause whatever’s on top of it to shift. 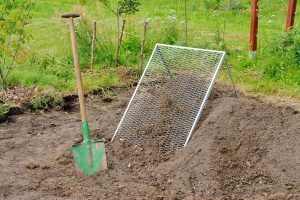 Fill dirt contains no organic material because it is taken from the ground several inches below the topsoil, where organic matter can’t reach. This fill dirt has no risk of decomposing, which makes it a stable and reliable filler for your project. What is a Yard of Dirt? Some people hear the term yard of dirt and are instantly confused. A yard of dirt actually refers to the cubic yard measurement of volume. So if you have 1 cubic yard of dirt, you have enough dirt to fill 1 cubic yard of empty space. A cubic yard is 1 yard (3’) wide, long, and high. There are 27 cubic feet in 1 cubic yard. This is the language of fill dirt. It’s necessary for you to use to figure out how much dirt you need. It’s necessary for the fill dirt contractor to know how much to sell you, and also how many dump trucks your project is going to require. The reason cubic yards are used is because you can’t weight the empty space you need filled. Instead, you have to determine the volume so you know exactly how many cubic yards of dirt you need to fill up the space. 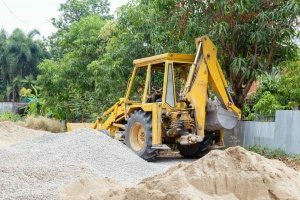 If your project’s space is 20 cubic yards, then you’re going to need about 20 cubic yards of dirt to fill it. Knowing how much dirt you need is crucial to the ease and success of your project. Getting too much dirt can be a hassle to deal with; no one wants excess dirt just lying around. Not enough dirt can also present serious complications with the timeline of your project, as it could potentially cause major delays. If you’re not used to this kind of stuff, wrapping your head around what a yard of dirt is might be challenging to visualize. After all, your fill dirt connector only delivers the dirt — you have to deal with it. 1 cubic yard of dirt is equal to about 2,000lbs or 1 ton, which is a lot of dirt. You want to make sure when your fill dirt is getting delivered that you get it dumped as close as possible to the final destination, as moving it once it has been deposited can be extremely frustrating. How Much Can a Dump Truck Haul? In the world of fill dirt, dump trucks are measured by how much available space they have. Dump trucks are rated by the volume of their bed, which again is calculated in cubic yards. A standard dump truck can haul between 10 to 12 cubic yards of dirt. Again, 10 to 12 cubic yards of dirt can be hard to visualize so sometimes it is easier to think of the dirt by its weight. If you purchase 10 cubic yards of dirt, which is easily carried in one truckload, then you’re going to be receiving approximately 52,000lbs or 26 tons of dirt. Two full truckloads will have you looking at roughly 100,000lbs of dirt. 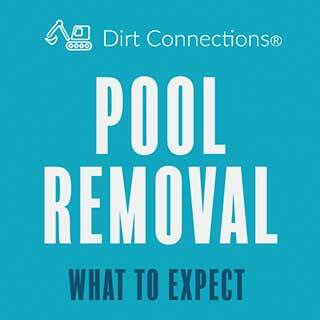 Often times, job dirt contractors have a minimum amount of dirt you have to purchase. This is usually one truckload, so you’re looking at having to purchase at least 10 cubic yards of dirt. However, this can vary so be sure to reach out to your local fill dirt contractor for more information. How Much Dirt Do You Need? Figuring out how much dirt you need can seem like a daunting task, but it’s actually basic geometry (you can also skip doing the equations yourself and plug your measurements into an online cubic yard calculator). 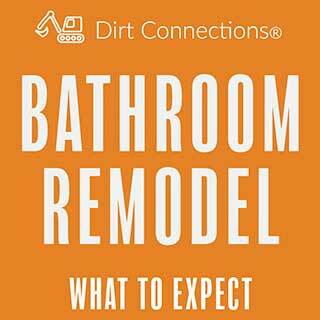 Knowing how much dirt you need is important information to have when seeking out a fill dirt contractor. The first step to figuring out how much dirt you need to take into consideration the shape of your project as this affects how you measure it. If your project is rectangular, you have to measure the length, width, and height and perform the proper calculations to determine the volume. If your project is circular, it gets a little more complicated. You have to measure the diameter of the circle and the height. However, to calculate the volume of a cylinder you have to use the radius, which is calculated by dividing the diameter by 2. The resulting number you get will be in cubic yards and it will be how much dirt you need to purchase. It’s also a good idea to do these calculations more than once to avoid tiny mistakes. 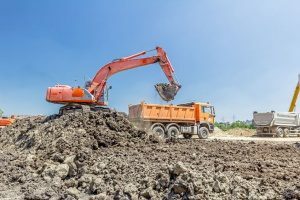 Reach out to a local fill dirt contractor for more information, as they can tell you specific prices and any specific requirements they may have.